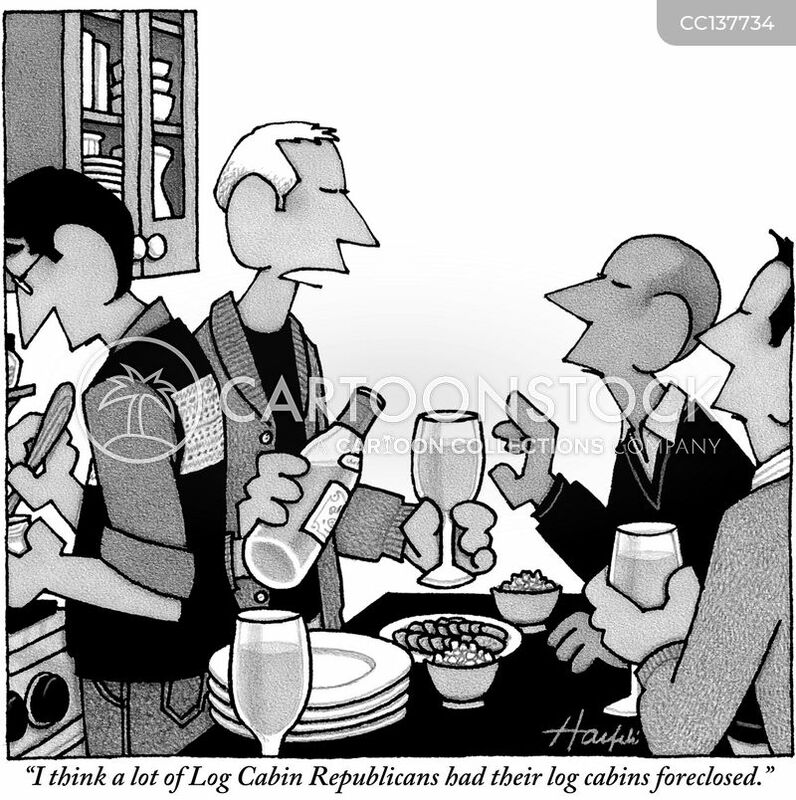 "I think a lot of Log Cabin Republicans had their log cabins foreclosed." 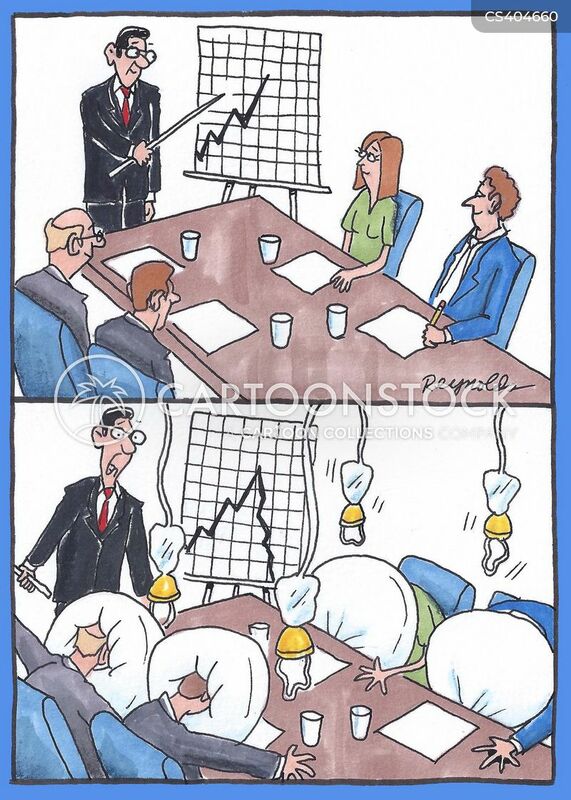 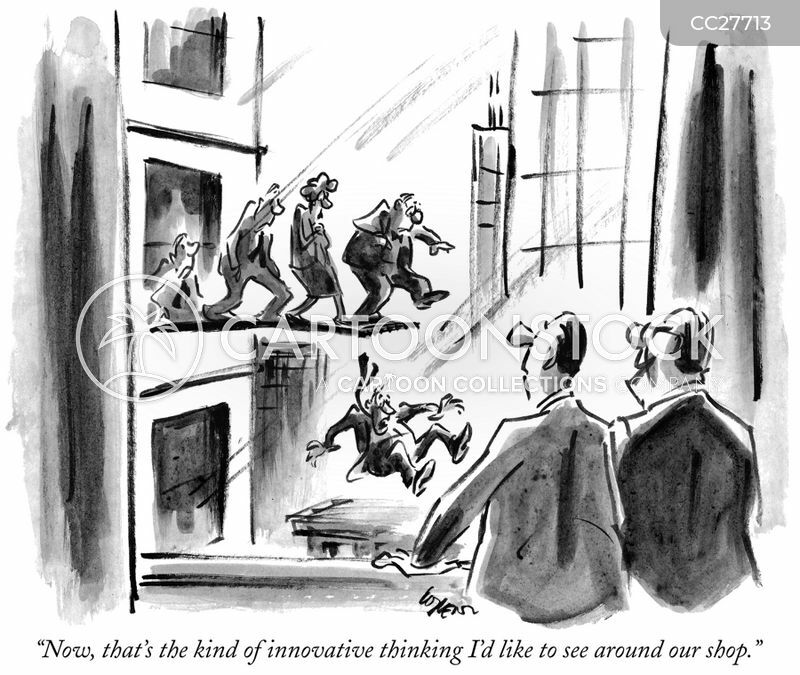 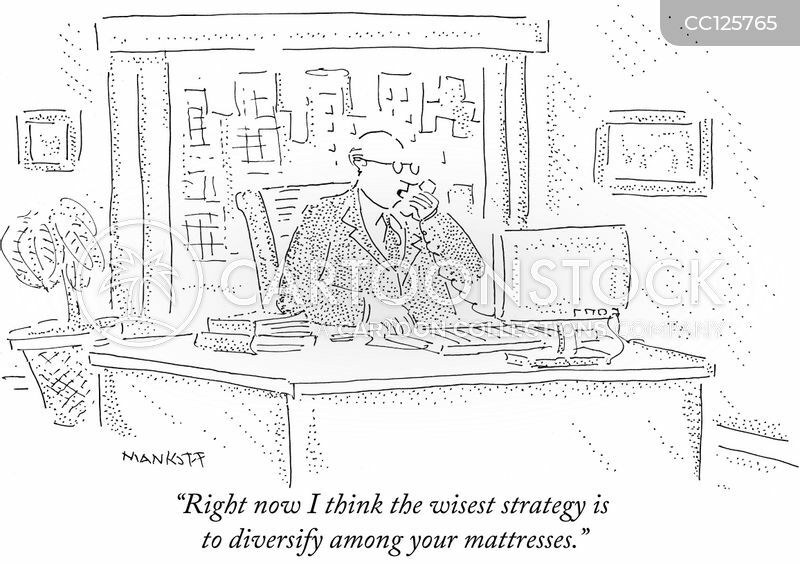 "Right now I think the wisest strategy is to diversify among your mattresses." 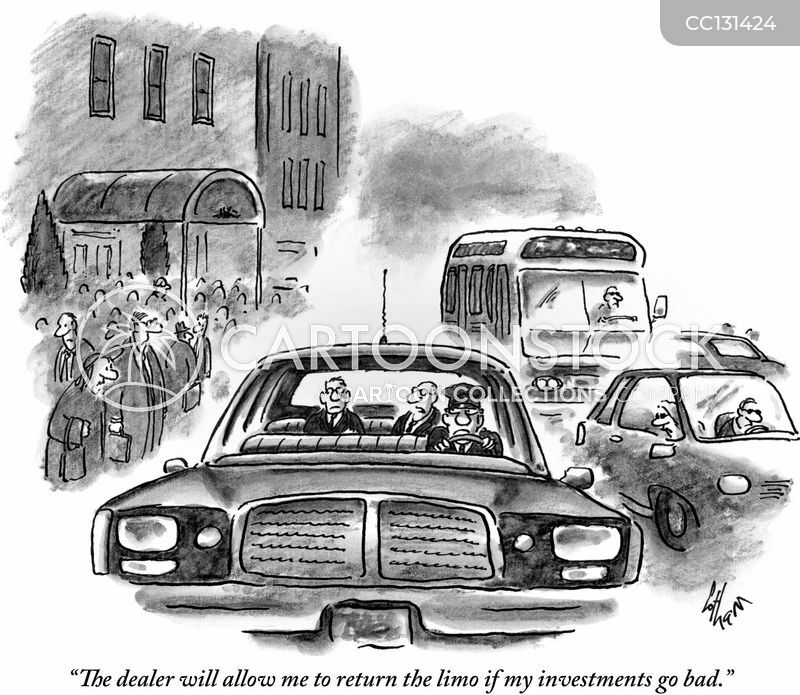 "The dealer will allow me to return the limo if my investments go bad." 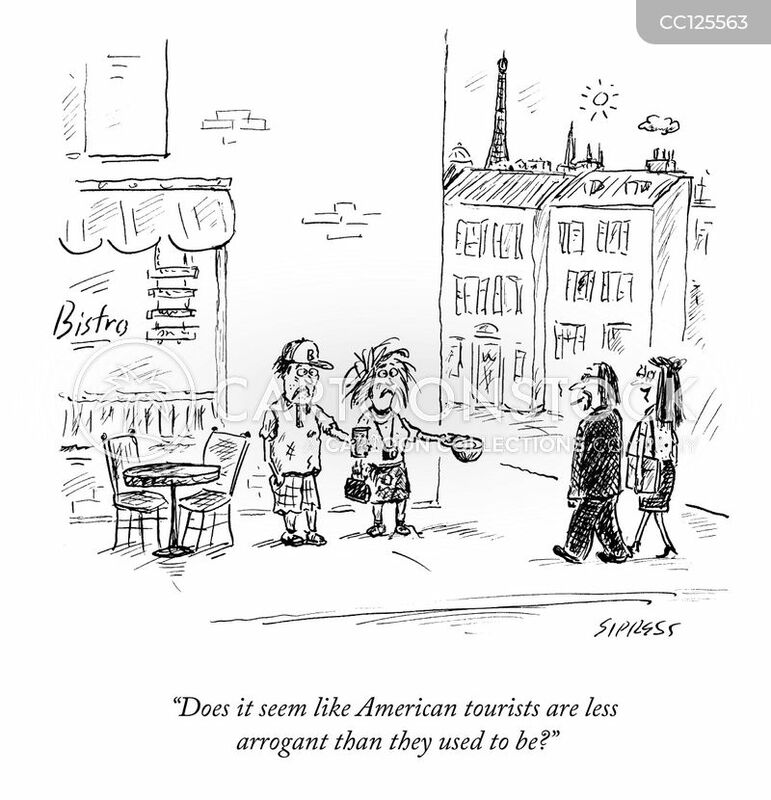 "Does it seem like American tourists are less arrogant than they used to be?" 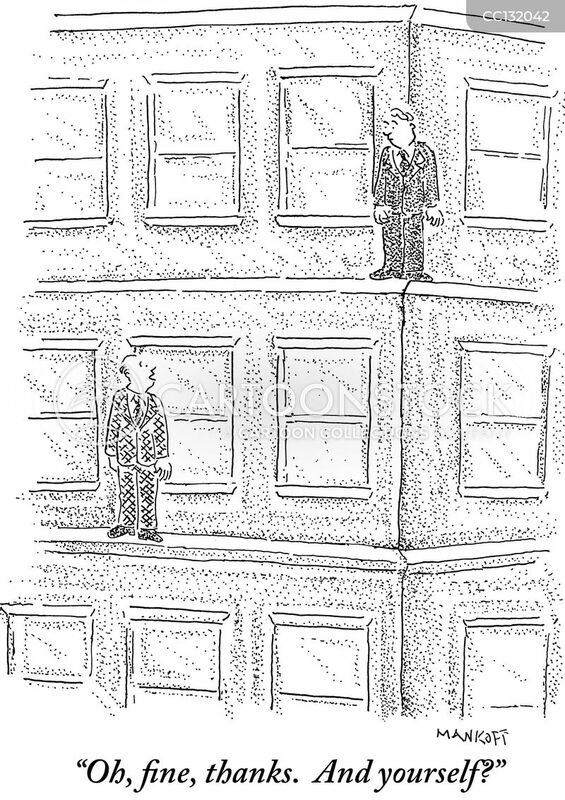 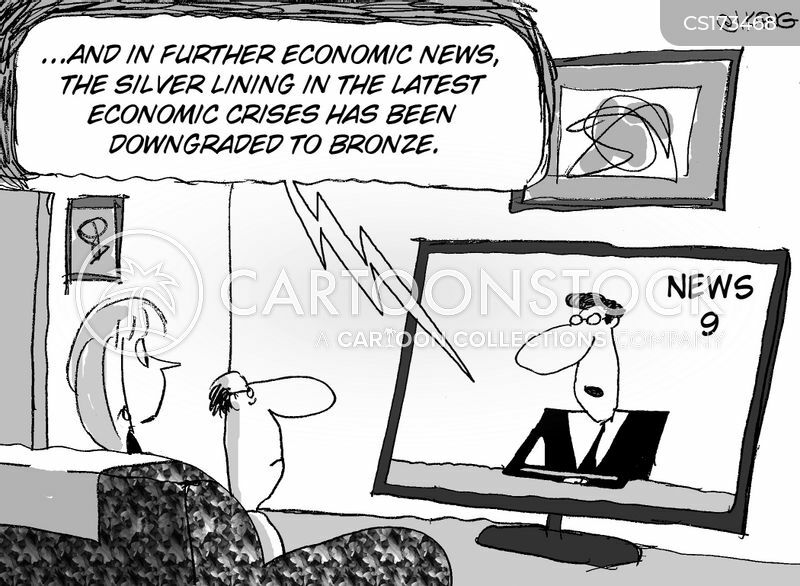 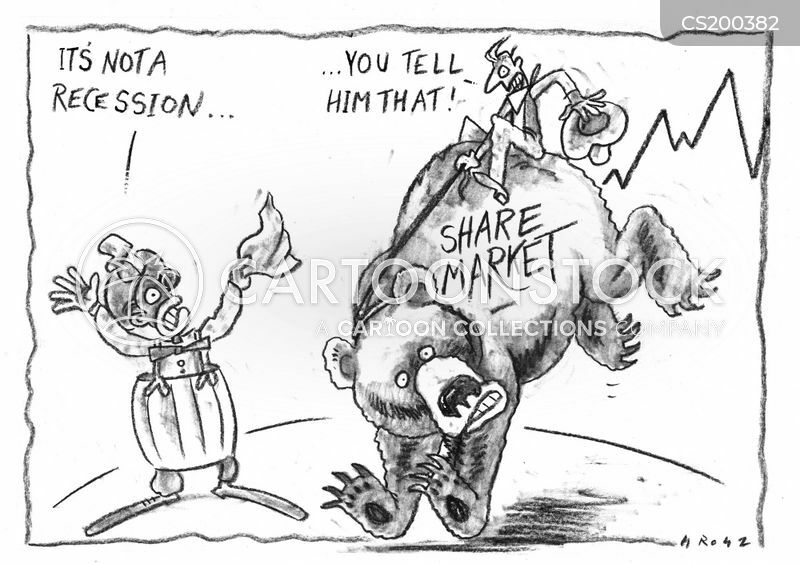 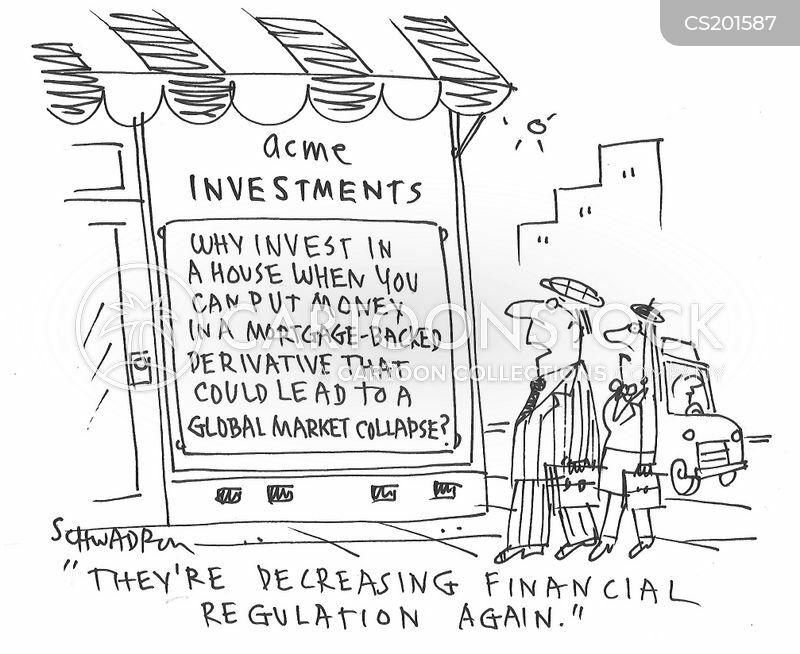 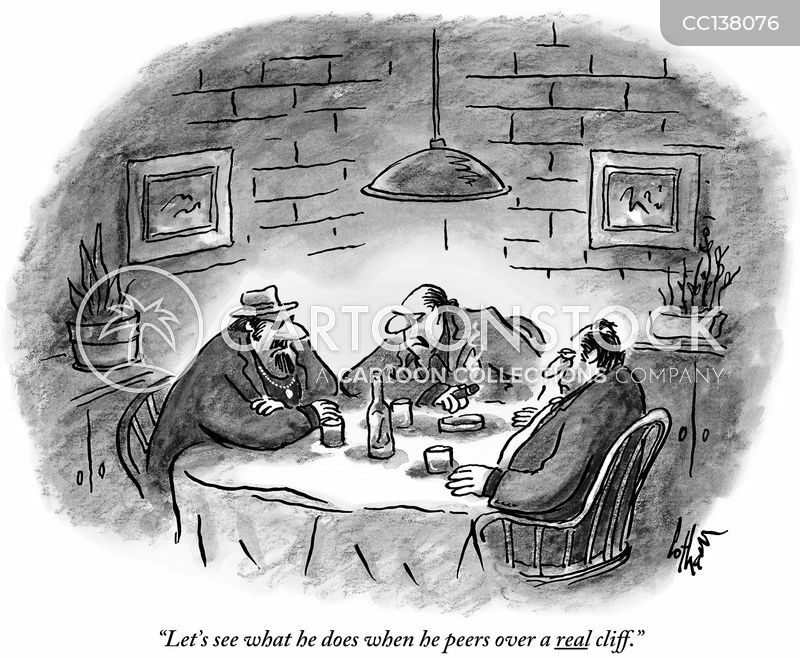 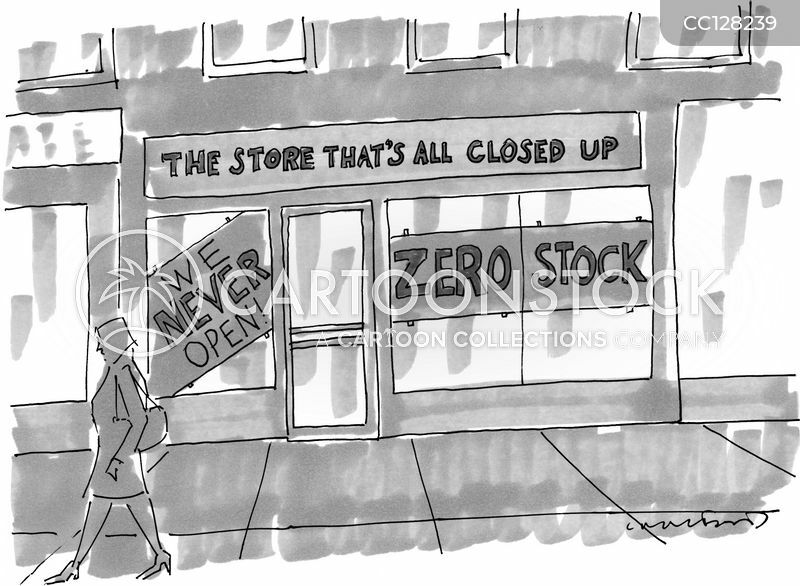 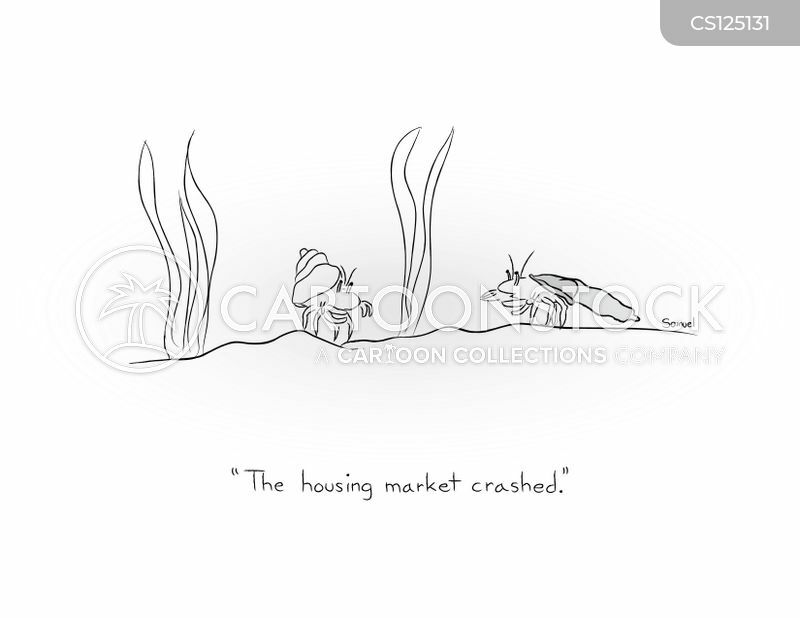 "They're decreasing financial regulation again." 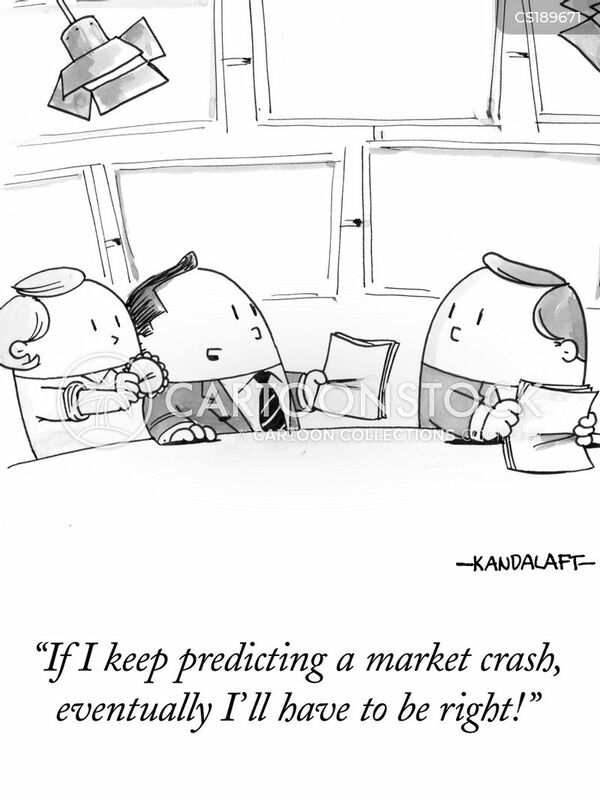 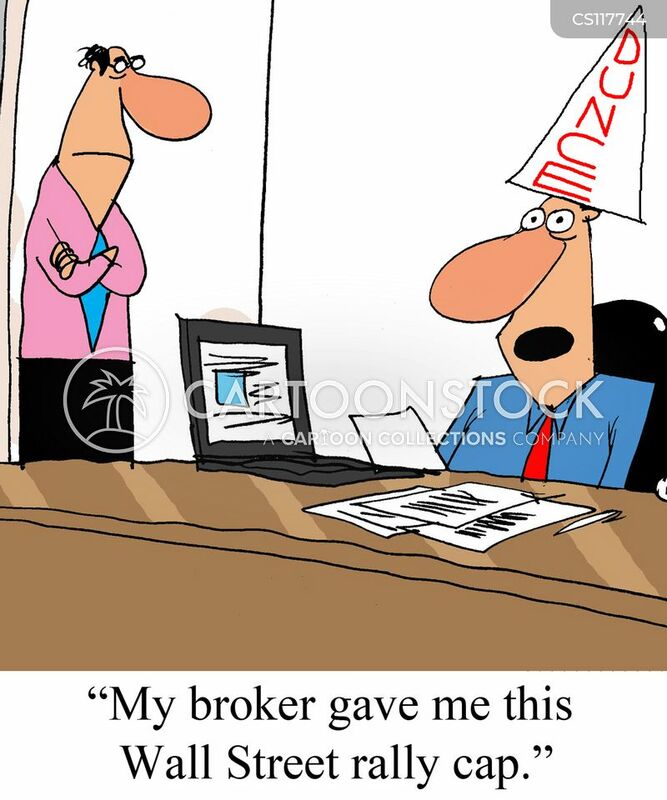 "My broker gave me this Wall Street rally cap." 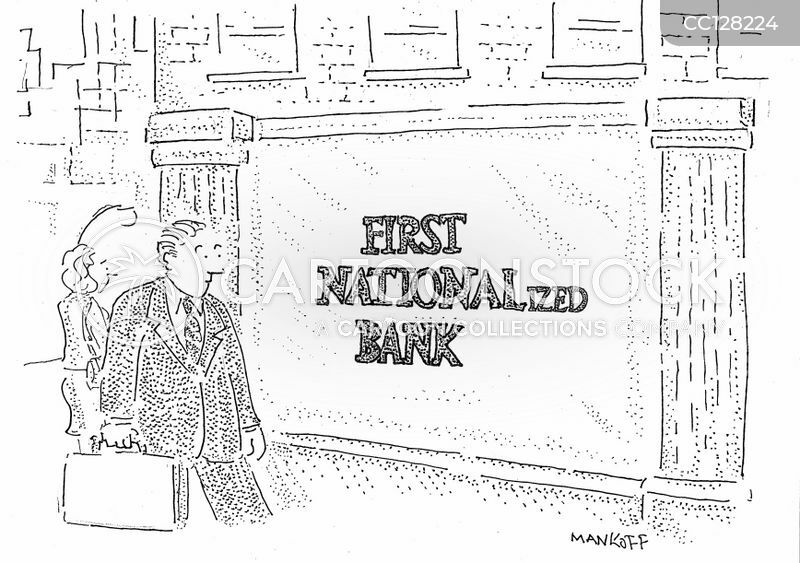 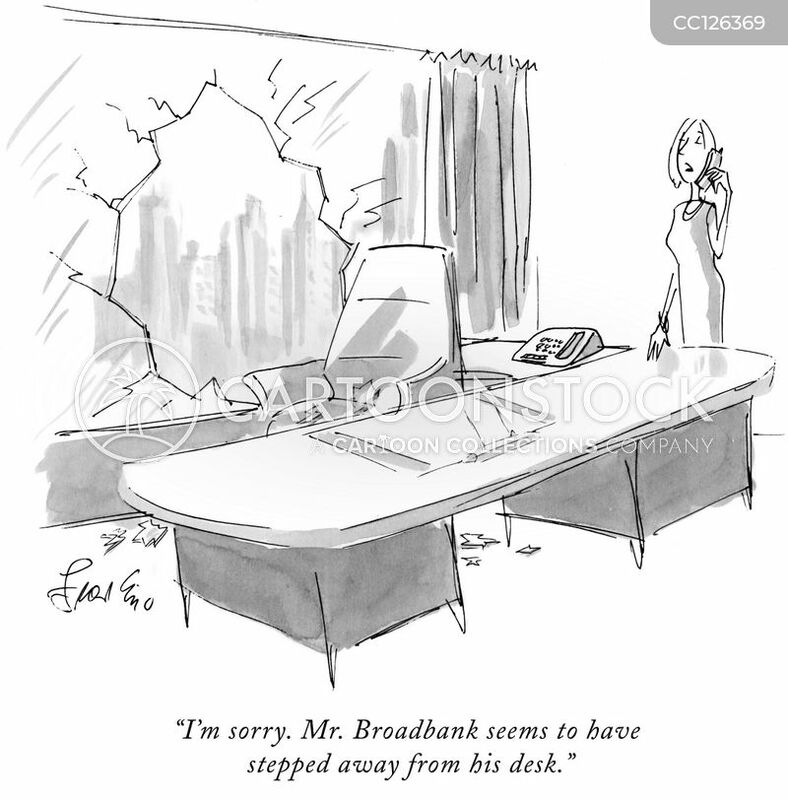 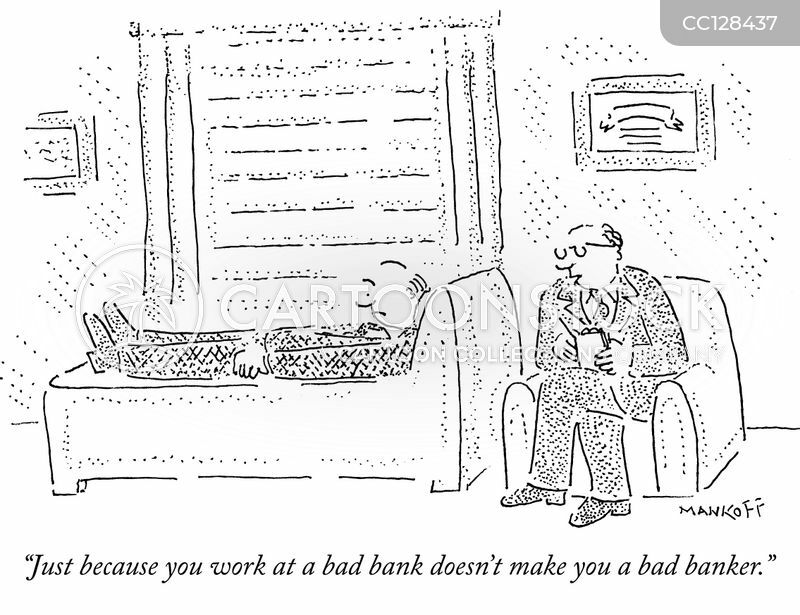 "Just because you work at a bad bank doesn't make you a bad banker." 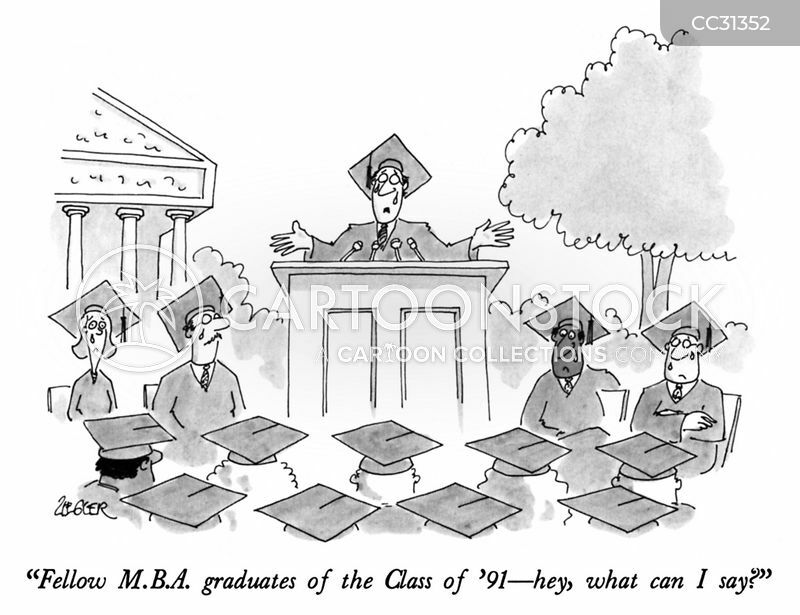 "What should you do? 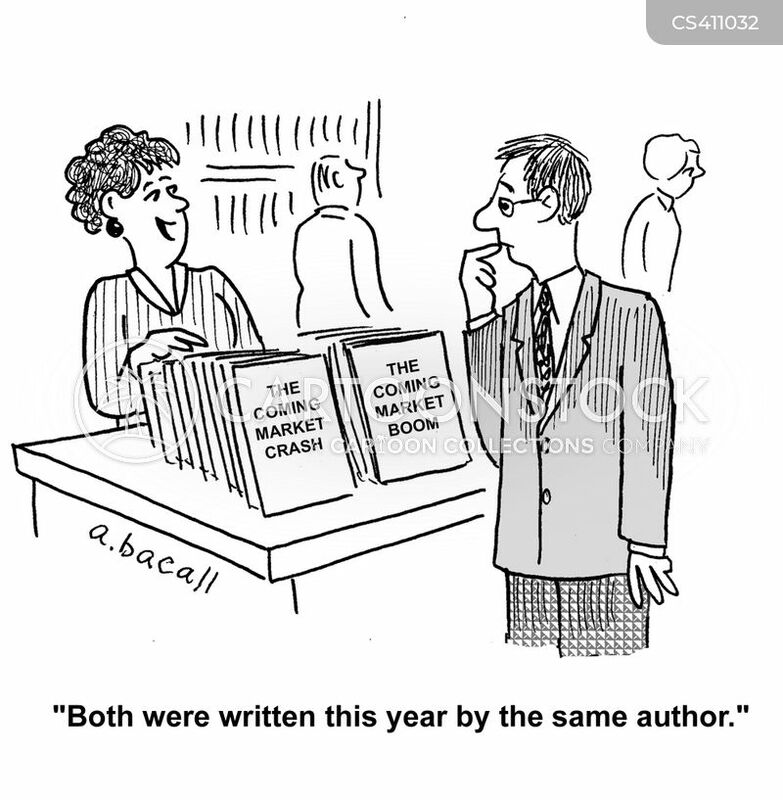 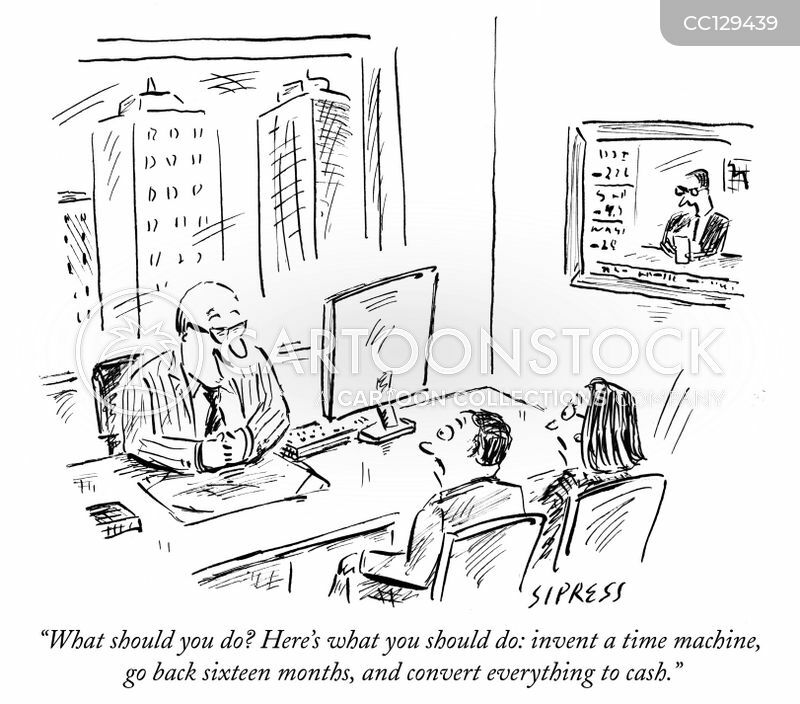 Here's what you should do: invent a time machine, go back sixteen months, and convert everything to cash." 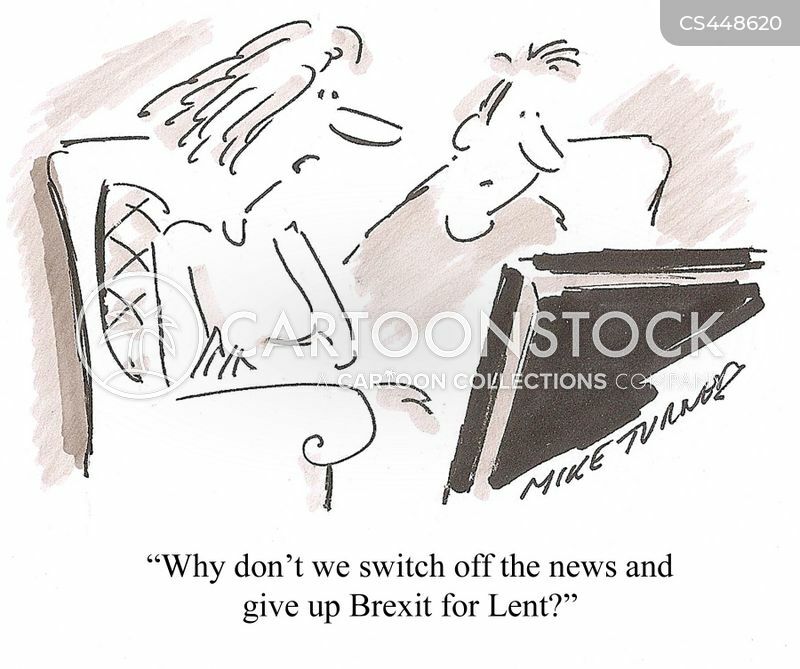 "Why don't we switch off the news and give Brexit up for Lent?" 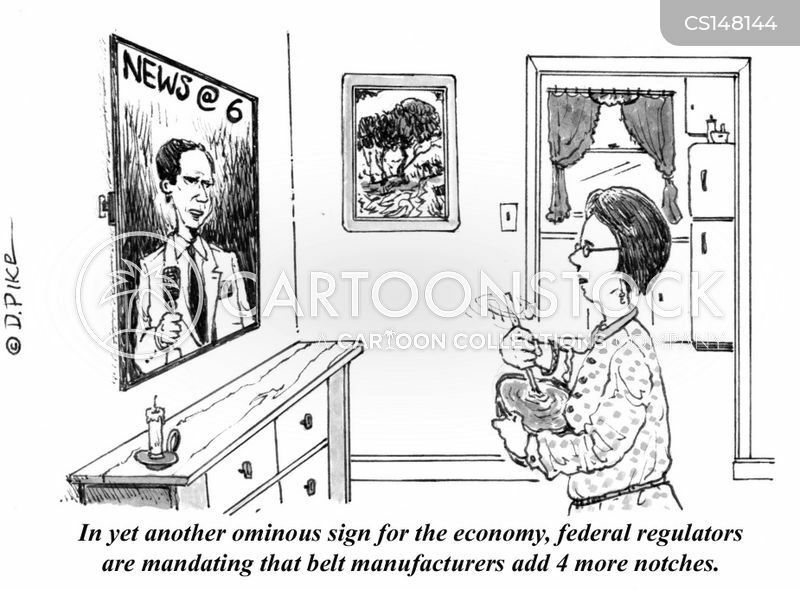 "In yet another ominous sign for the economy, federal regulators are mandating that belt manufacturers add 4 more notches." 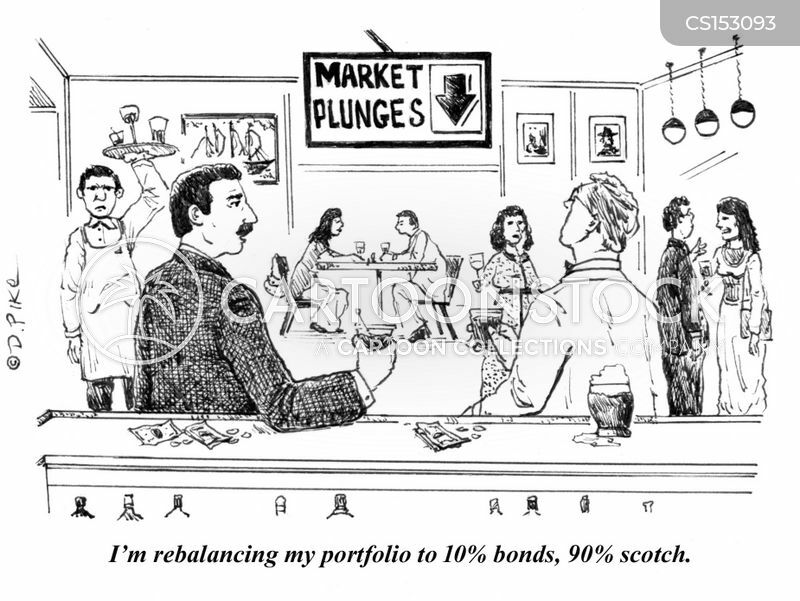 "I'm re-balancing my portfolio to 10% bonds, 90% scotch."